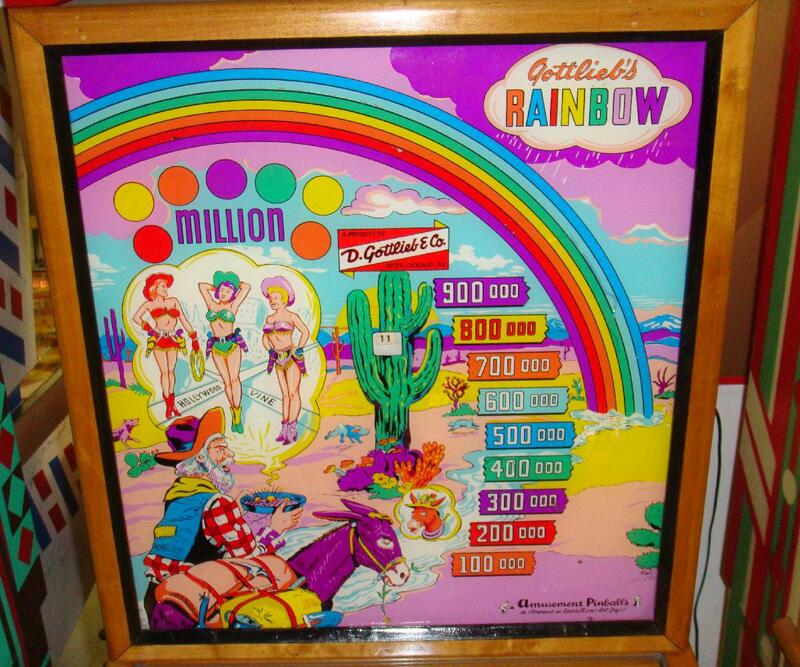 Description: Rainbow, 12/56, 1250 produced, 3 gobble holes. 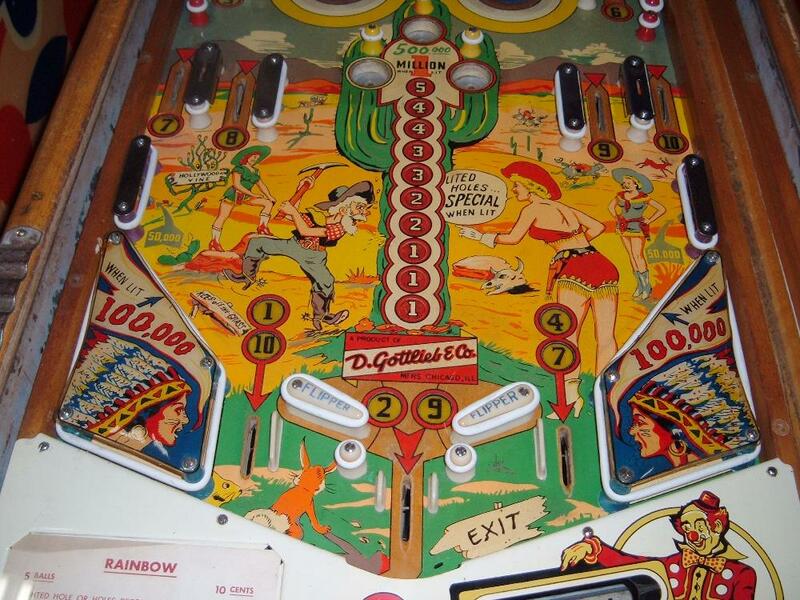 Woodrail pinball Artwork by Roy Parker. 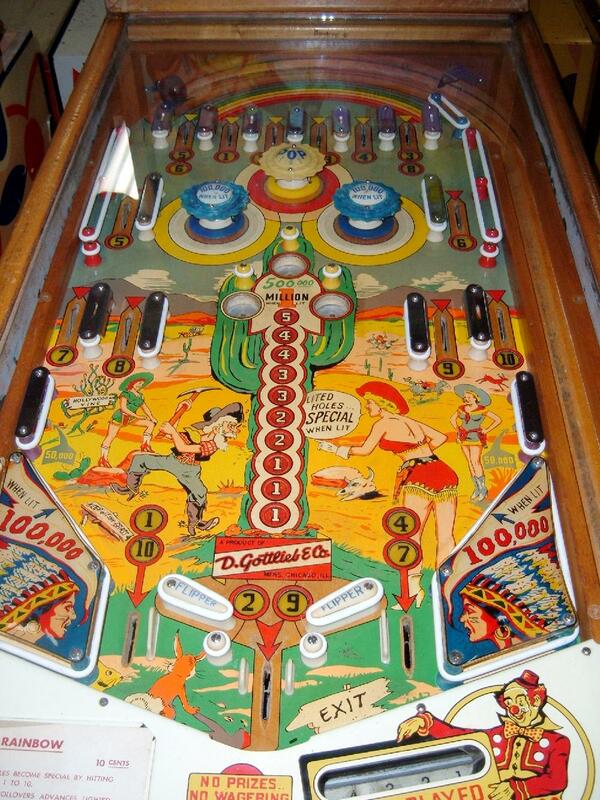 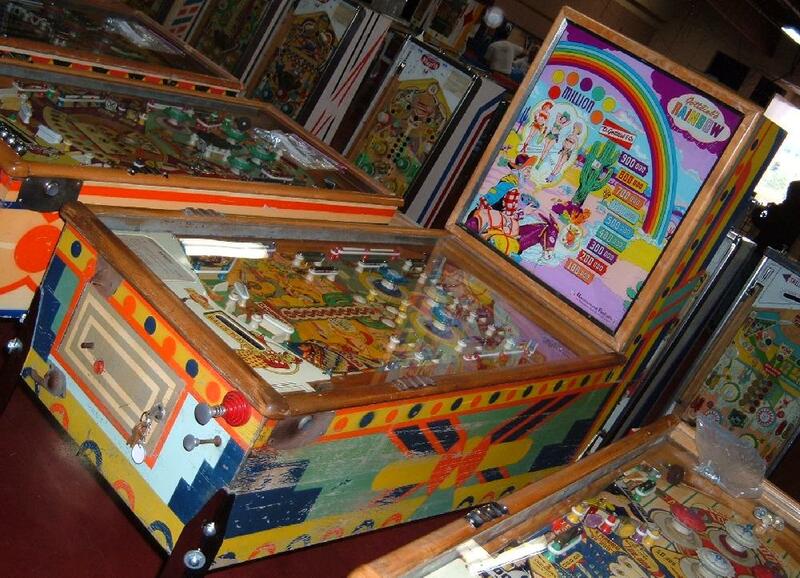 If you have a Gottlieb Rainbow pinball for sale, please contact me at cfh@provide.net.